Nice capbadge of the Canadian Grenadier Guards what was part of the 4th Canadian Armoured Division. In good condition. Capbadge of the Canadian Grenadier Guards this regiment was within the 4th Canadian Armoured Division. Nice Canadian capbadge of the North Nova Scotia Highlanders what was part of the 3rd Canadian Infantry Division. Nice Canadian capbadge of the Queen's Own Rifles what was part of the 3rd Canadian Infantry Division. 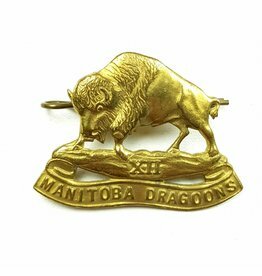 Nice Canadian capbadge of the XII Manitoba Dragoons what was part of the 2nd Canadian Corps. Hard to find capbadge! 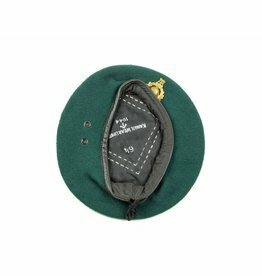 The beret is maker marked 'Kangol Wear Limited' and is dated 1944 with size 6 1/4 and also war-department 'M' marked what indicates that the beret was issued in 1944. 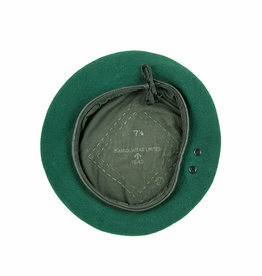 Canadian manufactured service cap belonged to Marshall with service number W-11401 of the Canadian Woman Army Corps (CWAC). 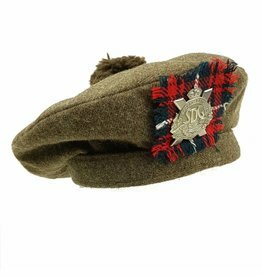 Tam O 'Chanter with capbadge and tartan of the Queen's Own Cameron Highlanders of Canada. The QOCH were part of the 2nd Canadian Infantry Division.